Skechers Women's Go Walk Shoe As Low As $38.56! You are here: Home / Great Deals / Amazon Deals / Skechers Women’s Go Walk Shoe As Low As $38.56! Skechers Women’s Go Walk Shoe As Low As $38.56! Constructed with woven canvas fabric, this casual sneaker has flatlock stitching details and fabric lining for long-lasting comfort. There is a heel loop for easy on/off. With its odor inhibiting antimicrobial Ortholite® sockliner, it resists slippage. 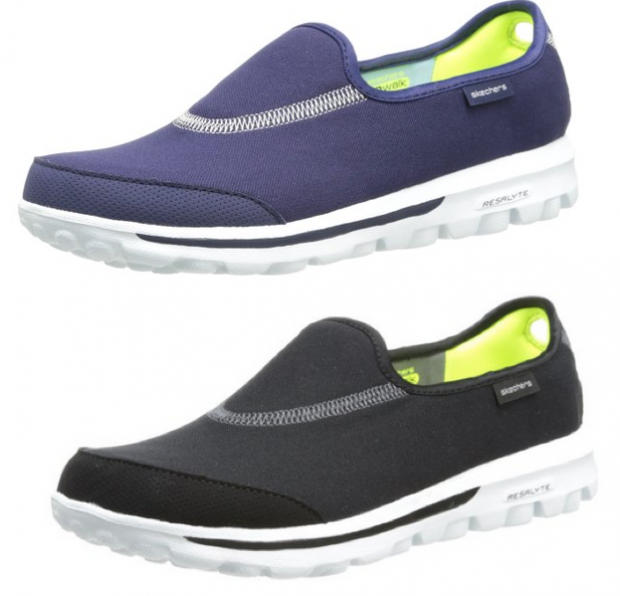 Enhance your walking experience with the women’s Skechers Go Walk Shoe (As Low As $38.56). It has Memory Form Fit design with Memory Foam padding at the insole, heel and instep that offers a customized fit. Its Resalyte TM midsole provides amazing shock absorption and grip!